Fund-management guru Alvin Fan says his business is a challenging one, and calls for plenty of skill and discipline. He tells Duan Ting his mission is to prepare fund managers on the mainland to take on the world. As big time entrepreneurs and businesses on the Chinese main- land set their sights on the global stage, asset managers have emerged as "precious commodities", and there's a great need for a fund incubator to teach new managers how to build up offshore funds to grab the opportunities on offer. 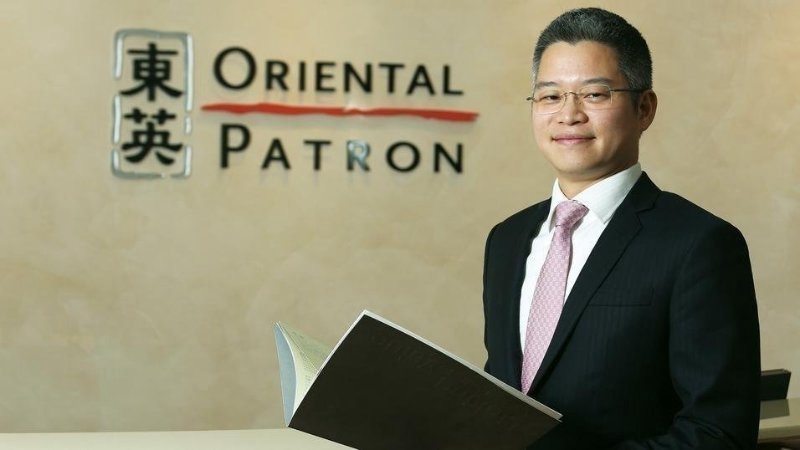 Alvin Fan, director and chief executive officer of Oriental Patron Investment Management (OPIM) — a member of Hong Kong-based Oriental Patron Financial Group (OPFG)— ﬁnds the mission particularly urgent with the mainland's asset management industry having grown by leaps and bounds in the past few years to $2.8 trillion. He thinks it's only a matter of time before Chinese asset managers go out, with their number having hit a peak of some 30,000 in the past few years. The nation's capital control measures, however, have forced their domain to be conﬁned to domestic operations for the time being. In the past 18 months, OPIM itself had signed up almost 40 managers on the mainland and, since 2008, the leading hedge fund structuring and incubation platform based in the SAR has taken more than 35 funds into its fold. "We really saw the need to educate new managers how to build and develop a fund that can compete on a global scale, something that's very different from trading personal accounts," Fan tells China Daily. "Running a fund is like running a business; profitability is just the minimum requirement. Clients need reassurance you've all the risk management systems in place to face markets or situations however tough they may be." OPIM's priority is to develop the fund incubator and discover the next great Asian fund managers and present them to the world, says Fan. He notes that most of the institutional asset allocations at present are man- aged out of Los Angeles, New York and London, and they want to help mainland managers bridge that gap. This calls for translating value and strategy into a language that global institutional investors can understand. "We provide them with the infrastructure and the team, as well as access to prime brokers, products and investors, which they normally would not be able to access as individual or main- land managers. Typically their funds would grow from around $35 million and, with third- party investment, they could reach $80 to $100 million, after which they can attract serious allocators. Foreign institutional investors have minimum investment of $5 million and maxi- mum exposure of 5 percent to 10 percent, so naturally funds need to have minimum investment of $50 to $100 million before you can entertain those investors," says Fan, adding they want high- performing managers to grow to attract institutional investors. According to Fan, it's very difﬁcult for fund managers to raise money in their ﬁrst two years. And, there's a lot of stress for entrepreneurs and fund managers to ensure an even cash ﬂow. The break-even point for a typical fund is roughly $15 million which itself is not easy to attain. The biggest risk for fund managers at present is when they can get a fund launched. "We try to reduce the pressure on them by helping them install discipline in their business so that they will not be distracted by external factors which may affect them in making decisions. We try to get them in front of real institutional investors, who are very demanding and take business seriously, as soon as possible. Those professional investors are not just going to look at absolute returns, but also how you make that return, how consistent you make that return, what type of risk management framework you have, how you take proﬁts and stop your losses under different market conditions," he says. We interview more over 350 managers a year. From my experience, not many new managers are prepared for this." Managers are beneﬁting a lot from the incubator. "When they work with us, we used to take equity but now we share the fees with them, both in management and performance. By sharing the fees, when they grow, we grow with them. When they reach a certain stage, they may spin off if they want," says Fan. The difficulties they face when dealing with clients are to some extent capital control issues and increased regulations, following the mainland's ﬁnancial market crisis in 2015 when the number of managers had almost halved, says Fan. "There's ego in this industry, especially amongst asset managers. However, an important trait of being an entrepreneur is an openness to learning. Our goal is to help managers build a robust two-year track record, and we help them grow every step of the way. When they have a two-year track record, they can present themselves well to global investors." OPIM is a licensed asset management company in Hong Kong with Type 4 (advising on securities) and Type 9 (asset management). Its parent company OPFG was founded in 1993 by two policy writers from the China Securities Regulatory Commission and two investment bankers from Hong Kong. Currently, OPFG has over 120 staff in the group and 20 professional for the investment company, OPIM, in Hong Kong. Fans says the group's mission at that time was quite simple — helping small companies on the Chinese mainland raise capital in Hong Kong and globally. "We were one of the ﬁrst corporate advisory firms to help these companies list in Hong Kong on the main board and the Growth Enterprise Market board, and we were one of the ﬁrst advisers to be part of the gem board panel." "Back in 1993, we were helping our clients, who were quite small , access capital markets in Hong Kong. They have all grown quite substantially since them, and our company has grown with them. Over time, we've moved into areas like brokerage, mergers and acquisitions, institutional sales, and ﬁnally asset management." Back in 2006 and 2008, Fan recalls, there were only a few deals that had really put the group on the map. The ﬁrst was when OPIM co-invested in and co-managed with China Inter- national Capital Corporation, which would only work with big asset management ﬁrms with assets under management of about $25 billion or more, in an oil-and-gas deal. "That was meaningful, which showed they trusted us," says Fan. In 2006 when the parent company teamed up with China Southern Asset Management — one of the largest ﬁxed-income management enterprises on the mainland. When China Southern came to Hong Kong, it was one of the ﬁrst companies to be authorized under the Renminbi Qualified Foreign Institution- al Investor scheme, and they were very ambitious in building new products. OPFG and China Southern jointly set up CSOP Asset Management in 2008 which, currently, has approximately $4 billion in assets under management. "As a result of their success, we were approached by others who also wanted to build up a track record in the asset management business." In 2008, OPIM decided to try the fund incubator model and eventually decided it's an interesting one it should focus on. From 2010, they started focusing on risk management and rebranding the company, and building the ﬁrst fund of funds in association with local investors and family offices and other funds of funds. The purpose of fund of funds was to ﬁnd really talented Asian managers who are able to work with large ﬁrms and have a deep understanding of China, as well as great ideas and deep respect for risk management. "We start- ed with eight funds of funds and a few of them have performed very well as a result. Since then, we've structured over 40 funds, and in 2017 we signed on 23 funds, many of which will be ready to launch in 2018," says Fan. "We are not a massive investment bank but we are very focused on what we do know which is about structuring and fund management," he says. "We can help managers looking for assets offshore and we can also help large funds and funds of funds build a presence in Asia without them having to send the whole team over."